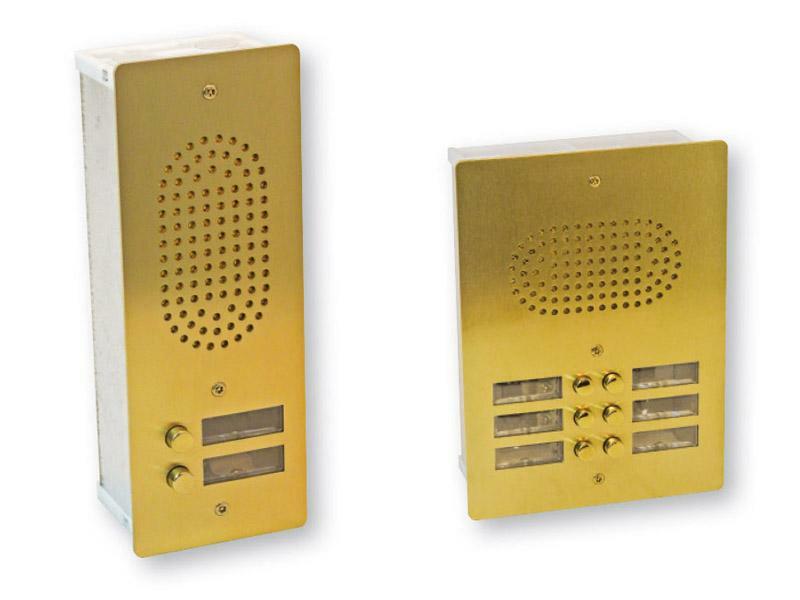 The vandal resistant panels are suitable for the majority of audio equipment on the market and on request can be arranged for video intercom equipment. 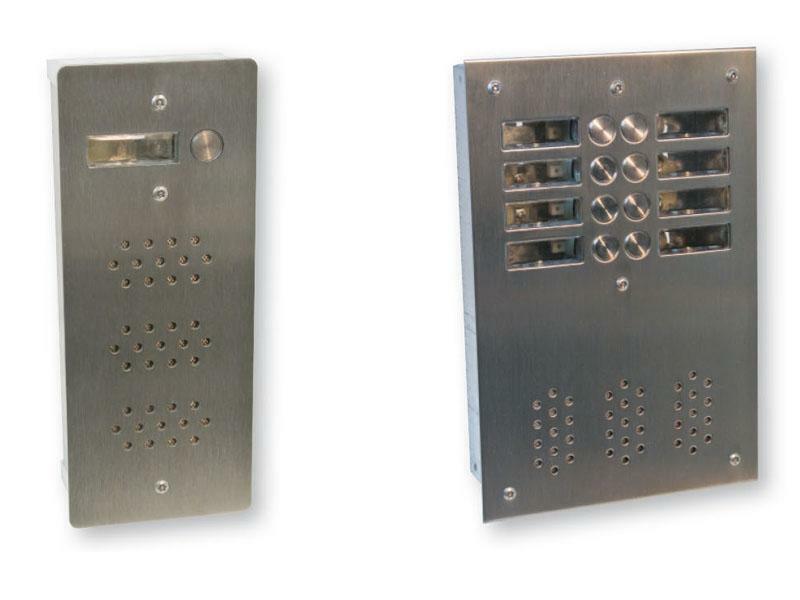 The contact system is housed inside the box making it independent plate from electric contacts, as an option contacts can be connected directly on the plate. They are available in two series of materials: brushed stainless steel and aluminum with a satin finish. Each of the two materials of the front can be ordered with a variety of finishes and colors. The box use the same system for both types but using more robust columns screws for the stainless steel version. 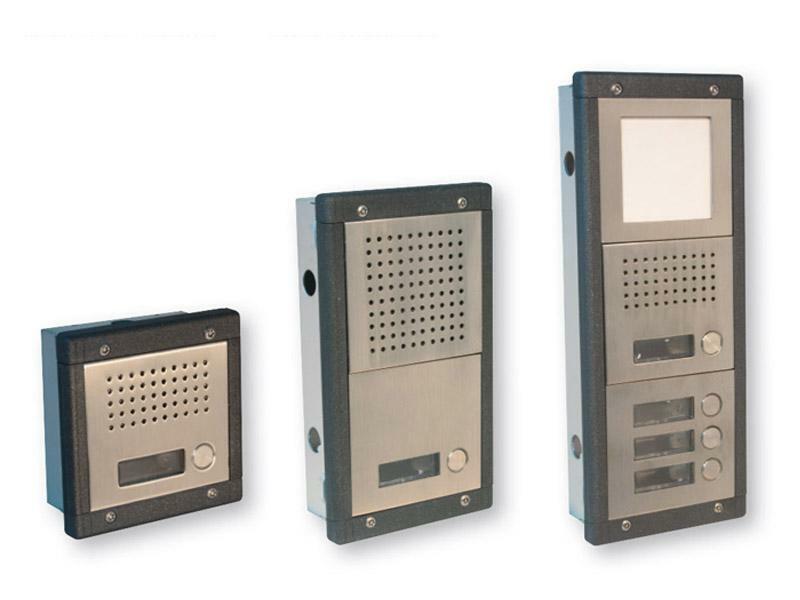 The artistic panels (like vandal resistant panels) are suitable for the majority of audio equipment on the market and can be arranged on request for video intercom equipment. The contact system is housed inside the box making it independent plate from electric contacts, as an option contacts can be connected directly on the plate. The artistic panels place emphasis on aesthetic appearance (without neglecting robustness). There are two series of materials: brass made with milling (with bevels and brass PVD threated buttons) and stainless steel PVD titanium nitride threated. For the brass version there are four standard finishes all designed and made with advanced technologies able to guarantee durability. The steel version instead has two standard finishes both PVD titanium nitride treated (gold color) polished and satin finish and two shapes of plate one rectangular and the other with a rounded profile "Deco". This kind of push button panel meets the wholesalers' requirement to reduce as much as possible stock maintaining the possibility to create a wide range of compositions using a limited number of items. After considering installation problems, these push button panels simplify and accelerate installer's job. The modules are inserted into the module frame by pressure and the whole frame is fixed to the embedding box, it also has two hinges in the left hand side corner in order to allow easy access and electric connection, as the cables can be very short. Boxes can be put side by side using joints(2 cm thickness) supplied together with the embedding box. They are available in two materials brushed aluminum and brushed stainless steel with various finishes feasible. 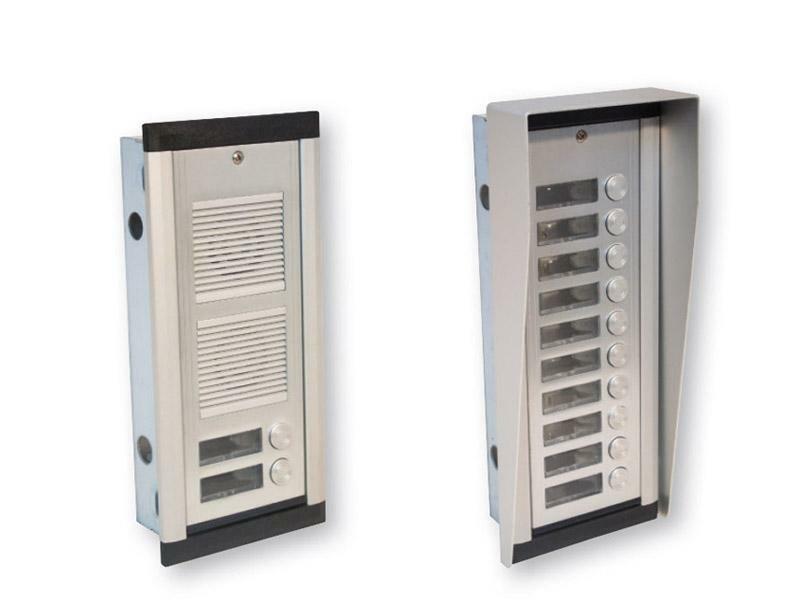 It is also available a modular version made in a single plate, which has the advantages of the modular front with the robustness of single plate panels, here contacts are on the front, the front is made ​​of anodized aluminum and plate flips vertically to allow easy connection. 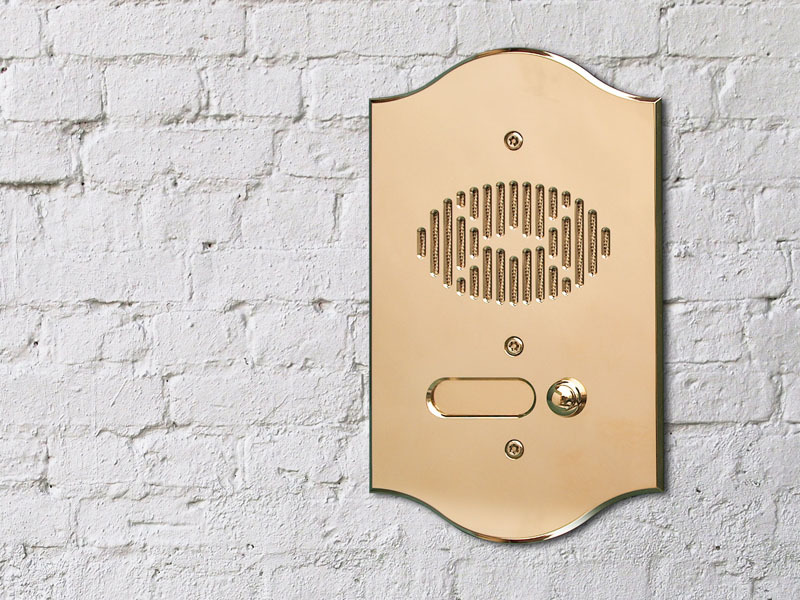 This kind of push button panel meets the wholesalers? requirement to reduce as much as possible stock maintaining the possibility to create a wide range of compositions using a limited number of items. After considering installation problems, these push button panels simplify and accelerate installer?s job. The modules are inserted into the module frame by pressure and the whole frame is fixed to the embedding box, it also has two hinges in the left hand side corner in order to allow easy access and electric connection, as the cables can be very short. Boxes can be put side by side using joints(2 cm thickness) supplied together with the embedding box. They are available in two materials brushed aluminum and brushed stainless steel with various finishes feasible. 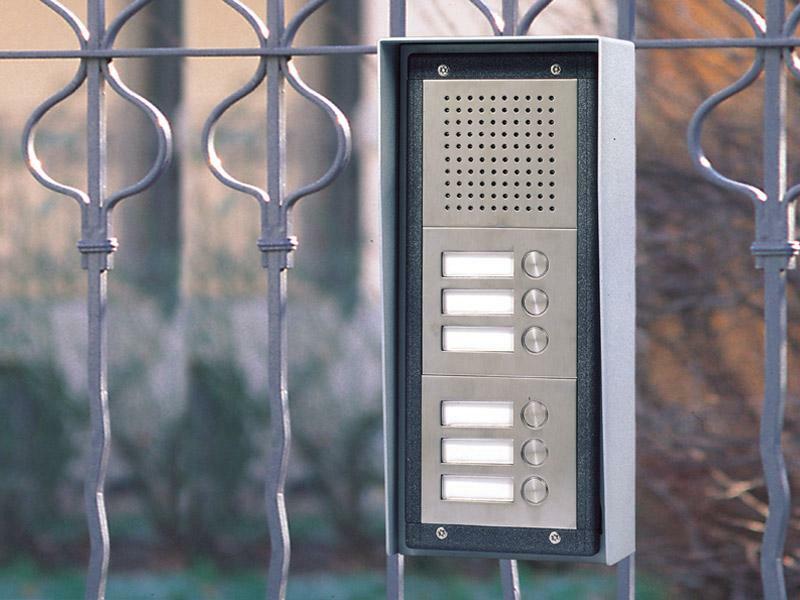 It is also available a modular version made in a single plate, which has the advantages of the modular front with the robustness of single plate panels, here contacts are on the front, the front is made ​​of anodized aluminum and plate flips vertically to allow easy connection. All the modular panels can be inserted on a upright. We have two types of uprights: anodized aluminum and stainless steel. 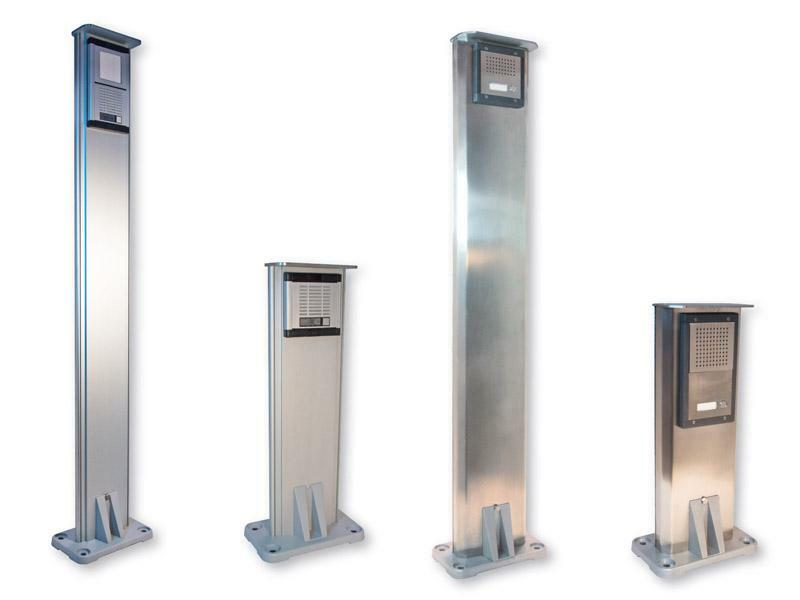 We have provided three different heights, each capable of housing all our modular chassis. For all uprights, structure is particularly strong, thanks also to the feet and reinforcements made ​​of die-cast zinc alloy. 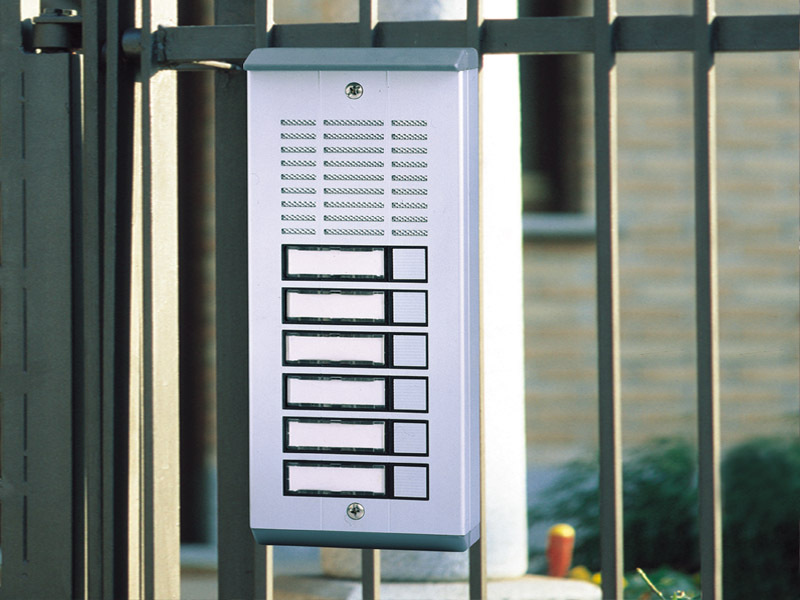 These push-button aluminum profile panels have been studied with a width of 100 mm to be mounted in areas where there is limited space and to avoid building works. © ELTAS SRL. Reproduction of text or images is prohibited. Tel +39 02 99041305 r.a.